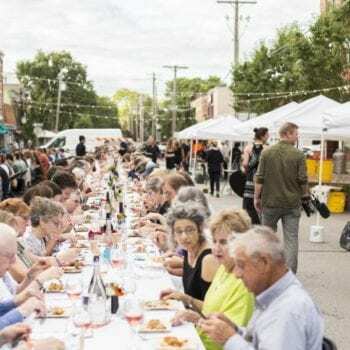 The City of Iowa City, in partnership with the Iowa City Downtown District, will hold the 3rd Annual Farm to Street Dinner on North Linn Street in Iowa City from 5:00-9:00pm. 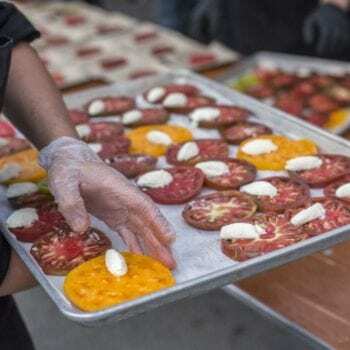 The event includes a multi-course meal prepared by Iowa City Downtown District chefs with food sourced from local producers. 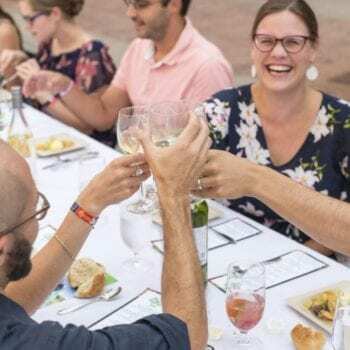 The goal of the Farm to Street Dinner is to bring together members of Iowa City’s diverse, vibrant community to share a table, a story, and a meal, while supporting local food systems. Tickets go on sale July 1st at 7am. In 2016, the first Farm to Street Dinner was held after a partnership between the three organizations was formed to increase awareness of local food being used in local restaurants and as a way to generate funds for a chosen non-profit that is working with local food in Johnson County. Last year, the Iowa Valley Global Food Project was the beneficiary of the $8,000 raised by the dinner event. For 2018, an application process will determine who will be chosen to receive the funds raised. This incredible six-course meal will be prepared by some of Iowa City’s best chefs utilizing local ingredients. Each selected chef will work closely with local producers to prepare one course of the six-course meal. Along with food, one glass of wine is included in the ticket purchase for all guests age 21+ with valid ID. Additionally, all guests age 21+ are welcome to bring a bottle of wine to enjoy with your meal. “Wine Doggy Bags” will be provided, allowing guests to take unfinished bottles of wine home with them.